Marvelous Multiagers! 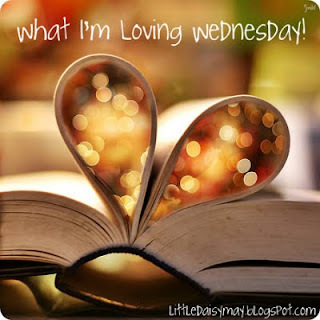 : What I'm Loving Wednesday! Just last week, I came across Jamie's super cute blog, This Kind of Love. Every Wednesday, she hosts a feature where you list what you're loving! I think this is an awesome idea, so here is my first What I'm Loving Wednesday post! I'm loving summer! I can go to the beach and take walks in the humid weather. Here is a picture of the beautiful beach where I like to read and soak up the sun. I'm loving spending time with one of my favorite family members - my awesome cousin, Lisa! I was 8 when she was born, so I remember her whole life. 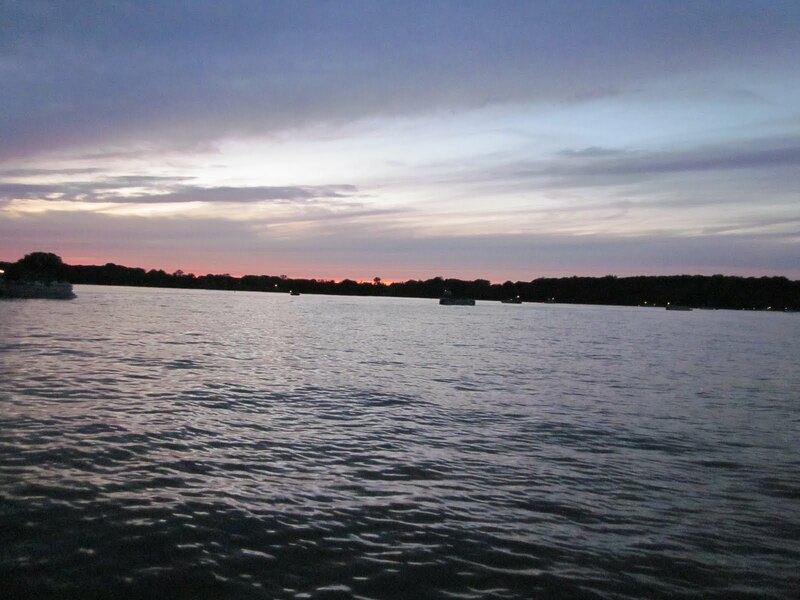 Anyway, this weekend we watched fireworks together with our fam on our grandma's boat, and she took this beautiful picture of the sun setting over our lake. I'm loving my summer reading books! I'm reading two books right now (Heart of the Matter - which I'm not loving and Math Work Stations - which I am!). Every summer, I typically read the nominees for the Rebecca Caudill Young Reader's Book Award so that I can stay in touch with my students. I've read two so far... I am really slacking! I'm loving that I'm halfway done with my summer class! I'm taking Theoretical Foundations of Teaching English as a Second Language (what a mouthful!). It has been so much work but I am learning a lot. And on that note, I'm loving that today I talked with an ESL teacher who took her ESL endorsement classes at a different school that charges a THIRD of what I am paying right now per class! That is going to save me a ton of money. Yeah! I'm loving little pathways that are shady and surrounded by trees. 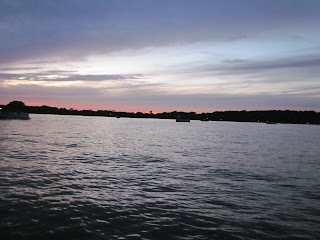 Doesn't this look so peaceful? I've heard from several bloggy friends that Heart of the Matter is no good! So I took it off my to-read list! Have a great day! I came across your blog through the link up. I have to say - Heart of the Matter is a little depressing but it got better by the end! Heart of the Matter was my least favorite of Emily Giffin's books, but it was ok. I love this for a blog post...may have to adapt and "borrow" the idea. Giving you credit of course!